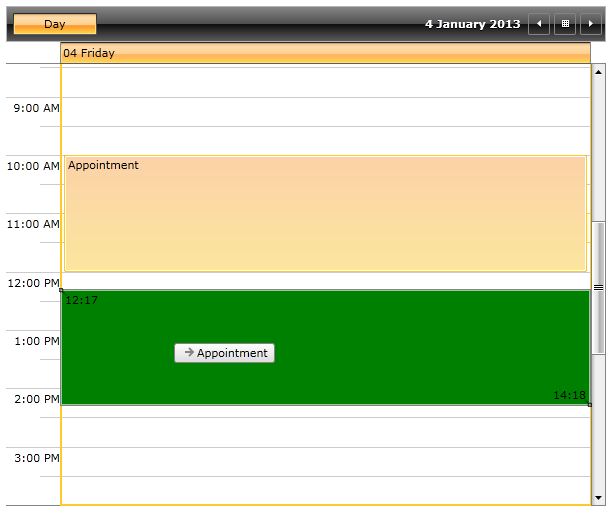 In RadScheduleView it is possible to customize the resize and drag and drop highlight of appointments in the control. The next examples will demonstrate how to customize the background of the ResizeHighlight and DragDropHighlight by setting the ResizeHighlightStyle and DragDropHighlightStyle of RadScheduleView control. The following examples use Implicit Styles in order to customize the Background property of the ResizeHighlightStyle/DragDropHighlightStyle. Before proceeding with the following examples you should read about Implicit Styles. 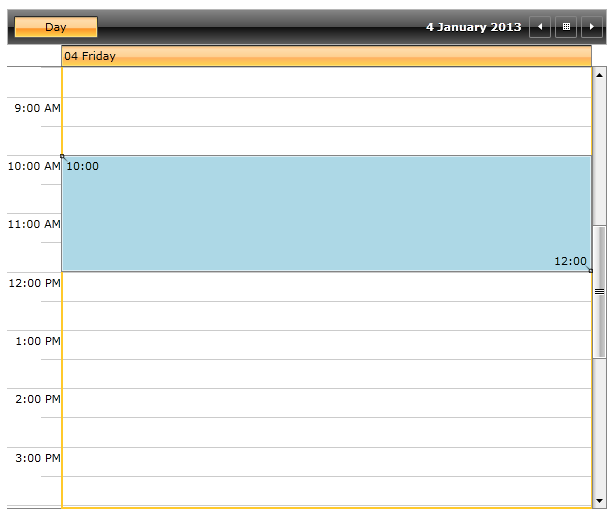 Add reference to the ScheduleView NoXaml binaries.